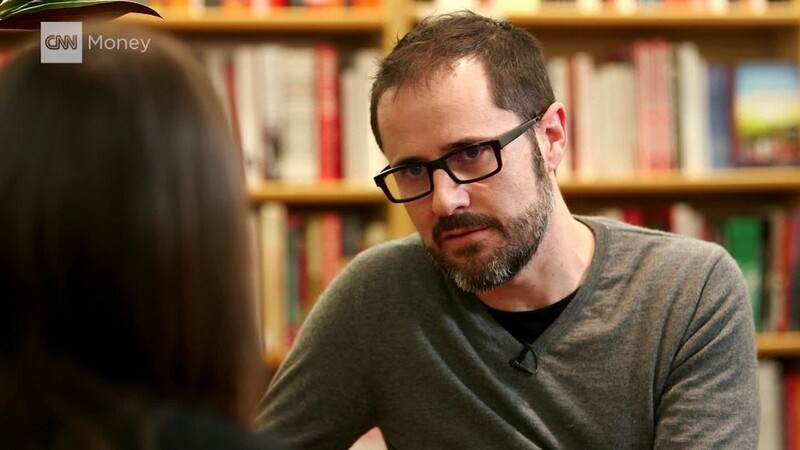 There's something ironic about interviewing Twitter cofounder Ev Williams in a book store. Surrounded by millions of words on paper, it's important to note Williams' role in creating the digital world (one that's slowly turning books into artifacts). These days, he thinks a lot about that role -- the state of communication and how connected we are. "We are more connected, but are we smarter? And are we wiser? And are good ideas always flourishing?" he asks. "That's harder when there's so much information." It's the premise for his latest venture, Medium, a communication platform that taps into a growing desire for long-form content, analysis and a break from the Twitter blasts. At its core, Medium is a blogging platform where people can share ideas. Users are restricted to one layout and font, which puts the focus on ideas and content, says Williams, who is Medium's founder and CEO. "If you remember MySpace, the obsession was about the design of your page," Williams says. "We've taken a great care to create a writing environment that gives you just the tools you need in terms of formatting to focus on your words." Medium is curated so users are introduced to specific content that might interest them. Medium lets you follow people in your network (i.e. Twitter and Facebook (FB) friends), but it also widens the net, offering up content your friends recommend, the opportunity to follow popular tags, and a curated selection of top stories on the platform. Medium raised $57 million in September, led by Silicon Valley venture firm Andreessen Horowitz, bringing its funding total to $82 million. The site has 85 employees and 25-30 million monthly visitors (although it won't disclose active users or daily posts). And its users are some heavy hitters: The Gates Foundation uses Medium to post updates on the latest charity work. The White House posted the State of the Union address on Medium ahead of the event. Google (GOOG) just started using the service to promote its "Ideas" blog. It's also become a platform for thought-provoking pieces. A former Twitter manager wrote about the company's challenges with diversity. A Facebook cofounder called for more work-life balance in tech. An engineer wrote about what he learned after not drinking for two years. All of these posts went viral, raising awareness and sparking conversation (and more Medium posts). In August, the New York Times published a story exposing Amazon's aggressive workplace culture. Months later, Amazon (AMZN) posted a scathing response, defending itself on Medium. The New York Times fought back not on its own pages, but on Medium. "It's a neutral ground in some ways because anyone can post on it," Williams says. "In Medium, they can both [respond] and people can read both and interpret that however they see it. It's much more of a conversation and an interaction than a standalone blog." For Williams, Medium is a natural progression from Twitter (TWTR) -- a reaction to its real-time, frenetic nature. Williams -- and Medium -- are clearly tapping into a deep-seated desire that people have to be heard -- at length. Earlier this month, there were rumors that Twitter will soon allow people to use 10,000 characters. "The Internet as a whole is all building off of what was there before," he says. "Sometimes I describe the traditional news as what's happened. Twitter is what's happening and Medium is what really happened." Williams, a Nebraska native who grew up with a love of books, hopes Medium will continue to grow into itself and provide a platform that helps good ideas rise to the top -- in the increasingly crowded digital arena he helped create.